Looking at the usual work tempo and time consuming activities, it is easy to note significant growth of all apps and programs that can save valuable time in different areas. Same thing happens in network monitoring world, especially when we focus on security issues. Corporate IT infrastructure is becoming more and more complex and critical to companies' daily business. Exposure to various security threats and malicious activities (Denial of Services - DoS and DDoS, worms propagation and infiltration, unauthorized attempts etc.) and internal operational problems or undesirable usage (data leakage, unstable service, enormous network consumption etc.) can lead to significant business interruptions, data or services corruption and produce enormous profit loss. A full stack security protection is mandatory now, and it combines different approaches, technologies and solutions. Firewalls and signature based intrusion detection systems on network edges and anti-virus software on end stations are no longer sufficient. According to Gartner, Network Behavior Analysis provides higher visibility to network behavior and misuse, covering gaps left by signature based IDS mechanism, which is especially efficient in detection of new "zero-day" attacks, sophisticated threats, internal misbehavior, unusual activities etc. 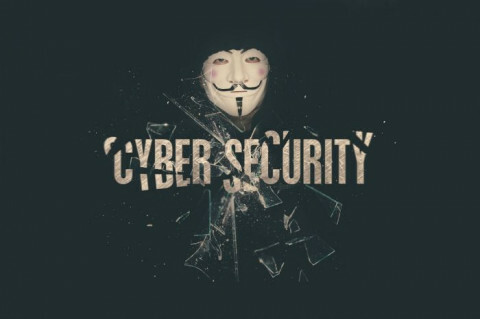 Minimizing human activities of manual inspection and reaction to network security threats, and replacing them with specific behavior analysis and security policy rules, is the focus. It is created through machine learning using an innovative method that optimally combines specific technologies and human interaction, pushing network detection and protection to real time. These needs are common in all industrial sectors, but the Banking/Financial/Insurance vertical still holds the biggest need and interest in this segment. Increased interest is also noticed from Telecom, Internet and Cloud service provider market. Any enterprise with dedicated IT infrastructure has a need for this kind of analysis and investigation, but if focused to multi-location medium-sized enterprises (with 100-500 employees) oriented to U.S., Europe and Asia-Pacific regions, according to The U.S. Census Bureau, we are talking of about 83.400 companies with total of 360.000 locations only on the U.S. market. With concern of security threats constantly increasing, small enterprises will develop a need for proper protection, in the years to come. There are also about 500.000 companies in this category only on the U.S. market. Network performance monitoring and diagnostics is mature, but still fast-growing segment of the larger network management space. Gartner estimates the size of the market at USD 1.6 billion and growing at a compound annual growth rate (CAGR) of 20.7%. The other overlapping segment, the anomaly detection market, according to very recent market research (MarketsandMarkets, August 2017), is also a fast growing market, with CAGR of 16.4% during next five years, and expectation to grow from USD 2.08 billion in 2017 to USD 4.45 billion by 2022. In this market research, the network behavior anomaly detection segment is expected to grow at the even highest CAGR during the forecast period. This is caused by the rise of internal threats among enterprises and increase in cyber espionage and fraudulent activities. The current technological trends are very promising, giving the opportunity "to ride the wave". IT Infrastructure Monitoring and IT Event Correlation and Analysis Tools are in the "Climbing the Slope" phase of the Gartner's hype cycle. The hype around data science and machine learning has also increased from already high levels in the past years - advanced anomaly detection is on the rise, while machine learning and predictive analytics are at the peak in 2017. Within the next several years these technologies will reach the slope of enlightenment phase. With a wise planning and agile development it is an opportunity and a challenge to find the balance between advanced research and practical implementation to solve customers' problems. This is the place where the innovation will come on the right spot. Hopefully awareness of these challenges will rise publicly and the right solutions will make an impact using proactive approach for the automatic protection.